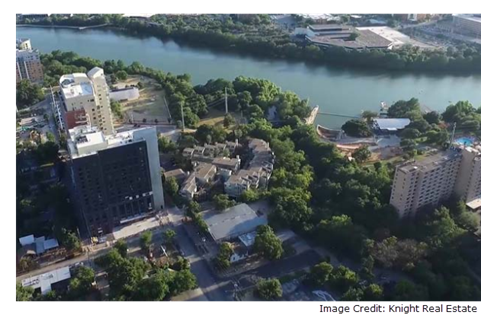 ​ ​AUSTIN – Construction is expected to begin in 2018 on a multifamily project at 80 Red River St., overlooking Lady Bird Lake. Genesis Real Estate Group bought the Villas on Town Lake in June 2017, clearing the way for the developer to move ahead with plans for one 40-story high-rise and another of undetermined height. Gordon Ip, Genesis' president, told the Austin American-Statesman he wants the first tower to have about 400 apartments on the 2.3-acre site overlooking Lady Bird Lake. Also check out Austin Multifamily Market Research.